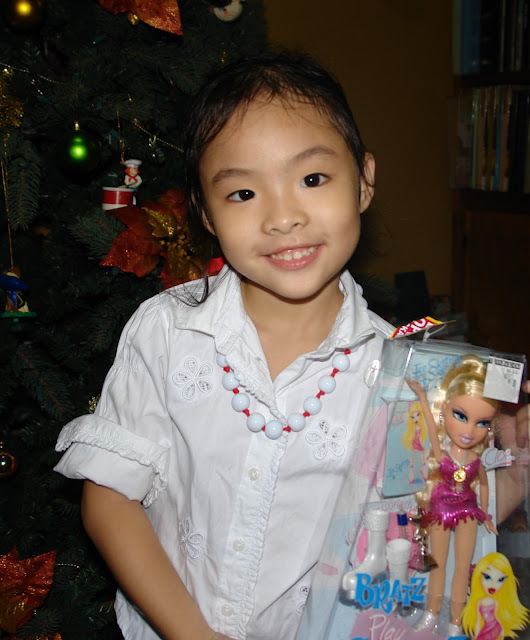 I didn't receive a lot of gifts this Christmas. Not that I'm complaining. My family and friends actually know that I'm easy to please when it comes to present. Just visit me at home, or call me, or meet me over a cup of coffee. That's it, because I consider giving time to someone is already a gift in itself (pang Ms. Universe na sagot, hehehe!). This gift is the most unexpected gift. It's actually more of a pamana because this is a collection of my Aunt Linda. This Madonna and Child is done by an Italian artist; 99th of only 100 pieces. I feel so loved and special to be entrusted with this piece. We placed it where it will welcome our families, friends and guests as they enter our home. This gift is actually a surprise, given by Luigi. I'm so touched that I'm loved by Juan's classmate. Although I told my husband and kids not to buy me anything, they still made an effort to get something for me. Rafael didn't give me a gift but I appreciate that he does not get cranky lately and that he kisses before going out and upon coming home without being reminded anymore. Sya din ang taga karga ng mga pinamili ko, taga walis ng bahay at iba pa. 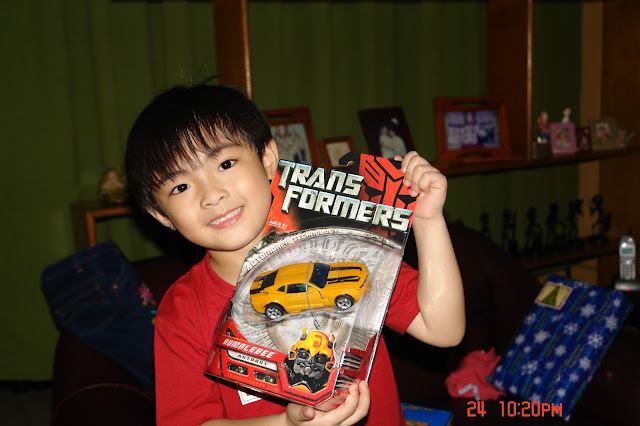 In short, dahil wala syang regalo, sya ang aking alipin sa buong Pasko. 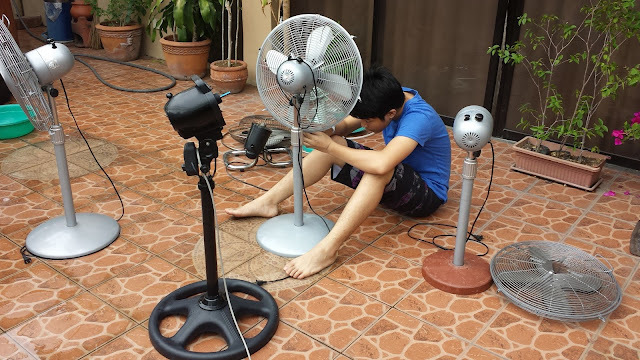 (Joke lang, hehehe!) 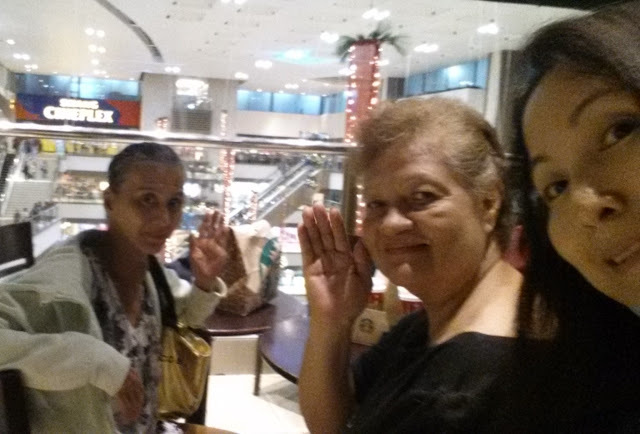 Love and service daw ang Christmas gifts nya sa akin. is in reality great, if it is given with affection." I have a secret. It's an open secret among my family and relatives and my close friends knew about it. I actually blogged about it last December 28, 2010 with a title Wishful Thinking, hoping that Ellen De Generes can read it. The secret isn't something embarrassing; it's about adoption. I was supposed to be adopted by Aunt Cynthia (my paternal grandmother's sister) and be brought in the United States of America. We've tried several times but the adoption did not materialize. When I was a young kid, half of me was hoping I made it to Aunt Cynthia but destiny has its own course. Although happily married to a good and gorgeous man (wink, wink! ), with three wonderful children, I still consider Aunt my "mother from another country". 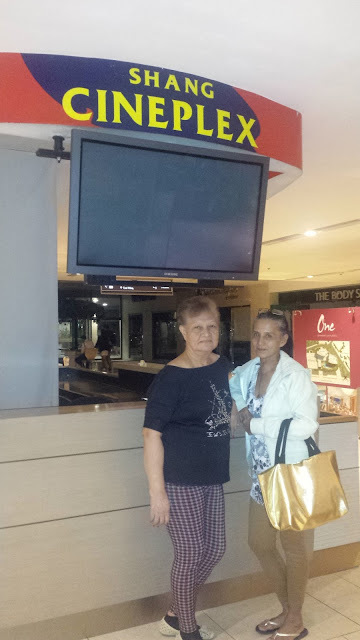 Aunt Cynthia visits the Philippines from time to time but I did not have the chance to meet her until I got a call from Kuya Bob yesterday saying Aunt Cynthia is in the country and is inviting us for dinner. Out-of-town schedules were cancelled, all for the love of Aunt Cynthia. My kids got to meet and bless Aunt Cynthia. aunts, uncles, cousins, and distant relatives were there. 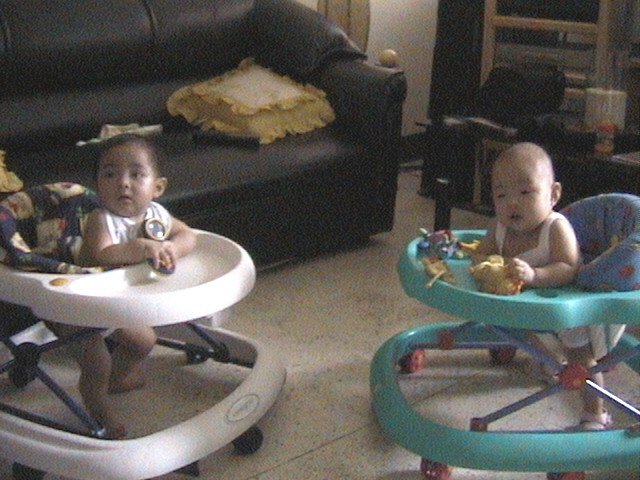 My twin kids, Julia and Rafael just turned 13 last December 8. I just realized I haven't written an article about raising twins. It's never too late, as more and more people I know are giving birth to twins, just like Vangie, my favorite bank teller. I hope this can be of help to those who are expecting twins. While it is true that twins can bring double the joy, parenting twins can also require double the work . Allow me to run down important things I have learned for the past 12 years. You can never be too prepared for two. 1. Shop early on for baby equipment and prepare your house. Set up a portable crib or playpen in the area where you will be spending most of your time with the babies, so that you have a safe place to leave one baby in case you need to attend to the other. 2. Hook up with other parents of twins because they can tell you what to expect. 3. Hire 2 nannies (if you can afford). If not, be sure to enlist the help of friends and relatives. You'll really appreciate an extra set of hands. 4. You can breastfeed both babies at the same time, although nursing two infants at once is tricky, yes you can, really! Buy a U-shaped nursing pillow because fits comfortably around your waist and keeps both babies at the breast, leaving your hands free to adjust each baby's mouth. Just experiment with different positions to find what works best for you. 5. If you cannot breastfeed both babies at the same time, don't be guilty to bottle-feed the other. Sit down on the floor, breastfeeding one infant while the other lay on a pillow in front with a bottle. The whole feeding experience would require coordination, balance and patience. 6. Refer to them by name rather than as "the twins". 7. It's important to treat your babies as individuals so that they begin to see themselves that way too. and as they get older, make sure they have their own clothes and special toys. 8. Celebrate their individuality. Twins are two children who just happen to be the same age, born on the same day but they have different personalities and likes. Encourage the differences between twins and never compare them to one another. 9. Avoid favoritism. As a mom, sometimes you may need to remind yourself that when you feel particularly frustrated with one twin for behavioral reasons, it is not that you favor his/her sibling. When you are exasperated and exhausted, remember to separate the act from the actor. Don't guilt yourself into believing you "favor" one of your twins. 10. Separating the twins eventually is also helpful. When they turned elementary we placed them on a separate school. 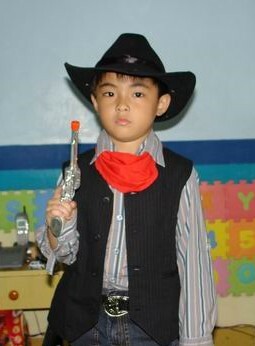 Julia in an exclusive for girls, and Rafael in an all boys school. It is in their best interest to be separated and to get their own group of friends because it encourages independent decision-making and better self esteem. Contrary to popular belief that raising twins is hard, raising twins is easier because they have each other to play with so they learn the value of sharing early on. They' may be double the work, but twins are also double the love, kisses, and hugs. 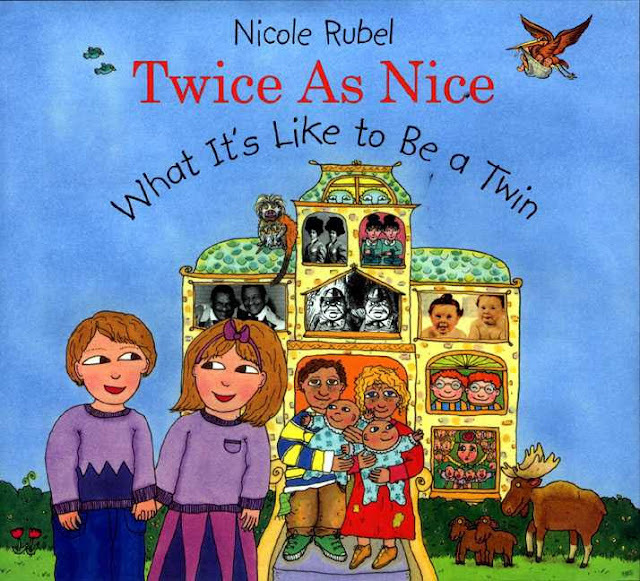 This cute, colorful, informative and helpful book, Twice as Nice, written by Nicole Rubel, about raising twins is a good read. Try and find at online stores as they may be out of stock already from popular bookstores because it was originally published on October 6, 2004. Fraternal twins Bonnie and Ronnie take readers on a whirlwind tour of twinship, interspersing informative segments on everything from "Where Do Twins Come From?" to "What Are the Odds?" with amusing sections of twin riddles, advice to twins, twin interviews, and snappy answers to dumb twin questions ("Wow, am I seeing double?" "Yes, maybe you should get your eyes checked"). Also included: a retelling of the story of two of the most famous twins of all time, Jacob and Esau, and dozens of fascinating snippets about amazing twins from history and the present day, among them Castor and Pollus, Abby and Ann, and Mary-Kate and Ashley. 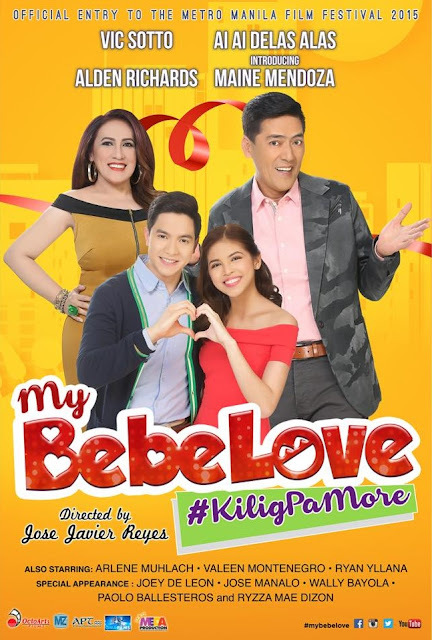 My Bebe Love: Kilig Pa was initially submitted to the Metro Manila Film Festival as “Romcom-in Mo Ako, a comeback tandem for Ai-Ai delas Alas and Vic Sotto. 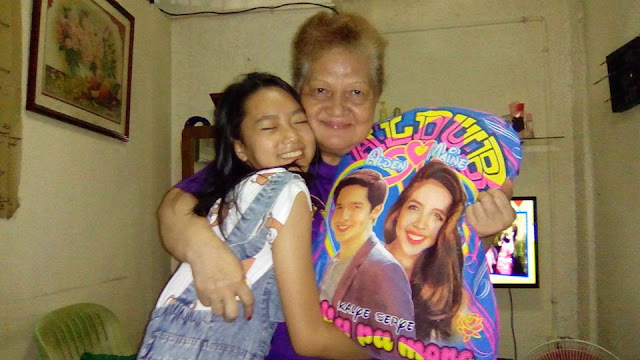 The unexpected rise to fame of ALDUB (Alden Richards and Maine Mendoza) has paved the way for their inclusion to the movie. 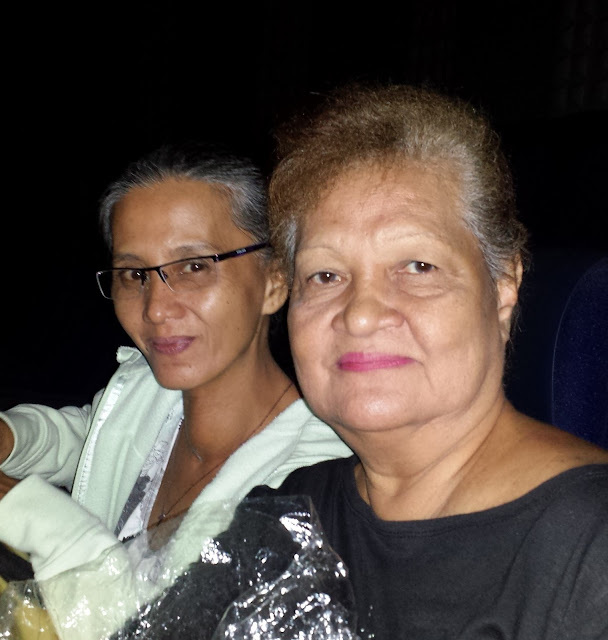 I found myself chaperoning Mama-in-law and Ate Jo at Shang Cinema for the last full show of this movie yesterday because Mama is a die-hard ALDUB fan. The movie, directed by Jose Javier Reyes and written by Bibeth Orteza, was able to deliver the perfect formula that Filipinos want–romantic-comedy that tickle the funny bones of Pinoys. Although hindi ako kinilig, I must admit na natawa naman talaga ako with the performance of Ai-Ai and Vic. More than the technical aspects of the film, I noticed the numerous product placements such as San Miguel Pale Pilsen, b Hotel, San Mig Light, One Esplanade, Bear Brand Adult Plus, O+, Glutamax, Nissan, Phoenix Petroleum, Tide, Goldilocks, McDonald’s, TNT, Krispy Kreme, Solmux, Google, YouTube, Google Maps, Kusê, PLDT Home, Cignal, and Coca-Cola. Yes, you know that the film is going to be big because big products have placed their advertisement! The movie also highlighted with the cameo appearances of Joey de Leon, Tito Sotto and the rest of Eat Bulaga stars, their sons and daughters, and their friends like Christine Babao-Bersola. My Bebe Love: #KiligPaMore is a fun-filled entertainment for the whole family to enjoy. Yes, Mama had fun watching this movie. She actually can't wait for Part 2!